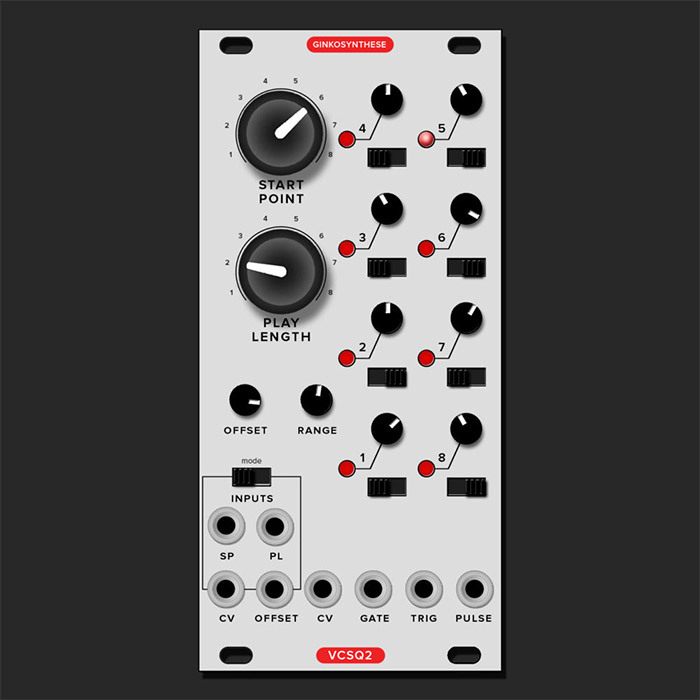 The Microbe Sequencer is a cut-down version of its big brother Amoeba – sharing some of the same beat patterns but also containing a set of totally new beats. To squeeze it into 10hp some of the functionality and CV controls have been removed. Like its big brother, Microbe is an artificial intelligence based 8 channel algorithmic rhythmic engine. Microbe can “partner” with Amoeba by connecting the clock output from Amoeba to the clock input of Microbe. 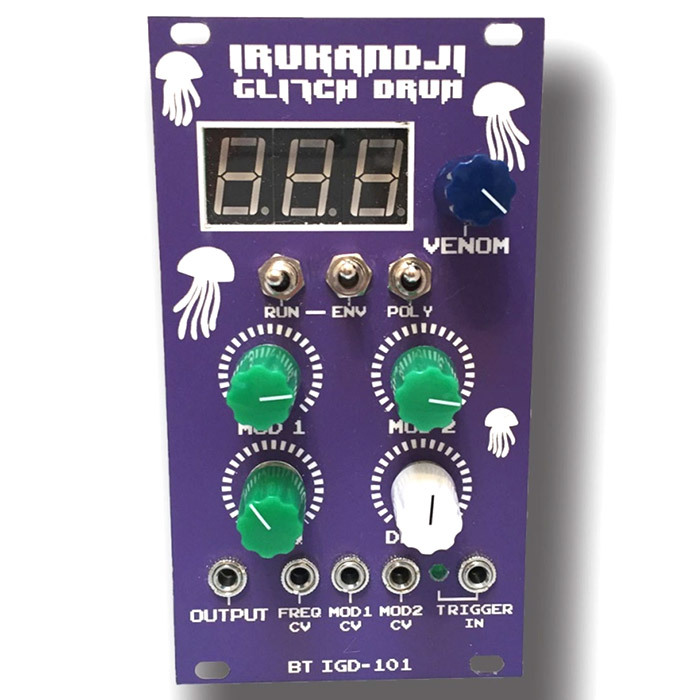 Microbe can then be used in may different ways for example in clock counter mode combined with a logic AND gate module so that certain channels only trigger on a specific beat, bar or measure. 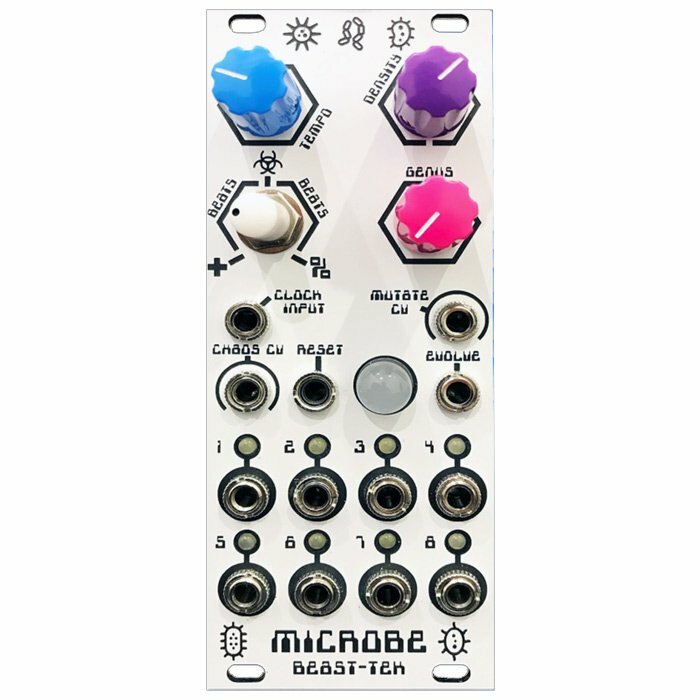 Combining Microbe with Amoeba, a handful of logic modules and even a sequential switch or a/b switch allows for modular programming (aka patching) of beats for endless combinations of beat patterns! Just like Amoeba, Microbe also has a rotating clock counter mode, rotating clock divider mode and cellular automation based mode alongside two types of beat mode. Cellular Automation mode allows the manipulation of organic trigger patterns from a cell grid based loosely on Conway’s Game Of Life algorithm.